The forensic psychotherapist, Murray Cox, defines the Aeolian Mode, using the metaphor of the ancient Aeolian harp, as the experience of poiesis, i.e. when “something is called into existence which was not there before.” It is an experience that is central and ubiquitous to human meaning-making, characterised by intuition, insight, inspiration, realization, spirituality, mystical experience, etc. The Aeolian Mode is a key transpersonal concept, which until now has received only very limited recognition. This presentation re-interprets Cox’s central idea of poiesis by exploring how this mode has become a major feature of our DreamCatcher model of narrative competence. Our model offers a much broader, dynamic and non-linear view of human cognition, that incorporates the transpersonal perspective. Aeolian experience is inherently transformative with direct relevance to working with the stories that emerge in narrative inquiry, as well as in psychotherapeutic practice. While the phenomenon of poiesis has been a continuing fascination for fields of human creativity, such as art, poetry, music, etc., as a focus for Transpersonal Psychology it is imperative. Although Cox stresses that poiesis largely originates from the depths of the psyche, in our work we have stressed its spontaneity and the experience of “it coming from outside.” Our empirical research into the nature of narrative competence and narrative intelligence also has important implications for transpersonal research methods, and we propose the addition of Aeolian Inquiry to complement established methodologies such as Intuitive Inquiry and Organic Inquiry. Finally, the scope and relevance of the Aeolian Mode will be discussed in relation to all seven thematic tracks for this conference. David Hiles is Honorary Research Fellow at the Centre for Counselling & Psychotherapy Education (CCPE), London, UK. He has been a psychologist for some fifty years, training as a transpersonal psychotherapist in the 1980’s. He recently retired from his position of principal lecturer at De Montfort University, UK, where his research interests lay in an expanded vision of cognitive psychology that is inclusive of human experience, empowerment and cultural practices. 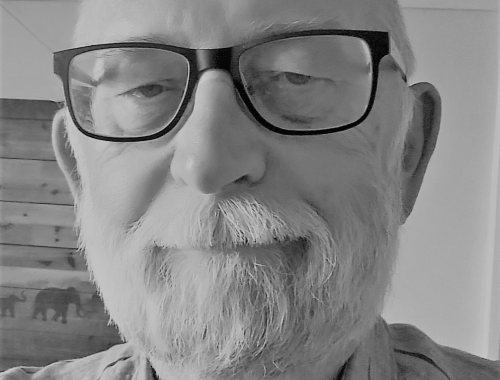 At the CCPE (London), he helped develop and was Program Leader for both an MA in Transpersonal Counselling & Psychotherapy, and an MA in Transpersonal Child & Family Therapy. He currently helps with the CCPE’s PhD program, and is engaged in narrative inquiry research with a group of Czech colleagues at the Institute of Psychology, Academy of Sciences CZ, Brno.